Today I am going to talk about 7 best eatables during pregnancy. That will help in the state of pregnancy. When any women got pregnant. Then she needs to be careful of her eating, wearing and everything. Then I will only talk about eating. that what you need to eat..? why you need to eat..?. and many questions I will clear all the doubts today. And tell you all the eatable food during pregnancy. Then I am going to tell you the 7 best only. Because the rest of eatable are not so beneficial. You need to stay focused on your diet during pregnancy. If you don,t eat food or another thing properly then they will harm your body. And the baby child can also be affected by this Selfishness. In the state of pregnancy the women who got pregnant needs to care too much about everything. Let,s start talk about the 7 best eatables during pregnancy. Then eatable effect a lot of the baby. Then come on the topic and start talking about the 1 best food and eatable when she got pregnant. When you are pregnant you need to consume more and more protein and calcium. everyone knows that dairy products have many types of proteins. And dairy is the best source of the calcium also. And you got the high amount of phosphorus and zinc and other ingredients from a dairy product. Yogurt is especially beneficial for pregnant women. it contains maximum proteins and calcium than other dairy products. And it contains something special which make our digestive system fats and healthy. the peoples who have to suffer from lactose intolerant maybe tolerate the yogurt or biotic yogurt. The sweet potatoes contain a very high amount of beta-carotene. A compound that converts the vitamin-A. Vitamin-A is best for growth and it helps diffraction of most of the cell and the tissues. the women which are pregnant generally advised by doctors to take the vitamin-A In access amount. But women are also advised to avoid the animal-based Vitamin-A. That contains a high amount of toxicity. And beta carbonate is very important for pregnant women. Sweet potatoes are the best source for the beta-carbonate. 200 grams of sweet potatoes fulfill the requirements of the beta- carbonate in a pregnant women’s body. Ultimately eggs are the best food for the pregnant women. Because it contains almost all type of the nutrients and vitamins in it. A full egg contains 77 calories and all types of minerals and vitamins and proteins in it. Eggs contain a very high amount of choline. And choline is important for the many development and process in our body. Even mind development also needs choline. In a research, the scientist found that 95% of peoples not taking the full amount or require the amount of choline. Low amount of choline during pregnancy can affect baby child’s mental development and tube defects. Broccoli and leafy greens, Dark. Broccoli and leafy greens and dark have many types of proteins, Minerals, and nutrients that a pregnant women needs. These all contain vitamin -A, Vitamin-K, Vitamin-c, AND Fibres. The rich antioxidants and they also fulfill the requirement of a pregnant woman. they prevent the pregnant women from very common problems occurs during the pregnancy. They contain the very high amount of the fibers. Which help the pregnant women’s to clean her internal system. it helps to come out the problem of the low birth weight of the baby child. 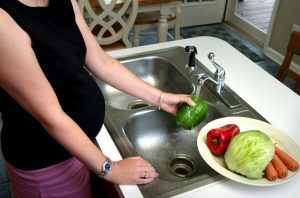 Then a pregnant woman needs to consume fibers and green foods a lot. Whole grains are also too much help pregnant women. It contains the incredible amount of the calorie. It helps a lot the 3rd or 4th trimesters. The whole grains and opposed the refined grain. oats are also full of the proteins which also helpful in pregnancy. The whole grains contain a rich amount of Vitamin-B, Fibres, and magnesium. all these components the lacking in a woman when she got pregnant. Then I suggest you take the full amount of the whole grains and proteins. to get the full benefit. Water is the one of the best liquid. Which help a sick and pregnant women or men a lot. In the state of pregnancy, water increases the volume of blood in the women body who got pregnant. then at that state, you need to stay properly hydrated. The symptoms of not properly hydrated. I mean dehydrated was the headaches, Anxiety, And tiredness. Water intake and clean your urine system and make every part of the body healthy. Then I suggest taking water in a good amount when you are pregnant. Dry fruits are generally full of proteins and vitamins and calorie. Then they are good for a pregnant woman. When you eat a dry fruit then your whole body take the advantage of that. Then a pregnant woman needs dry fruits a lot. 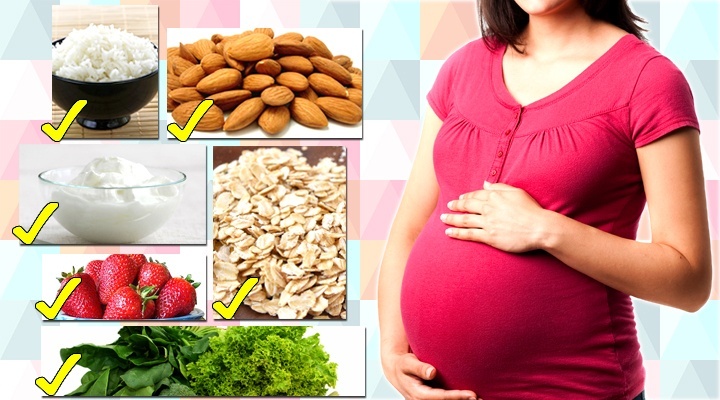 You can also think about Bananas, Ginger, Spinach, Warm milk to get relief during pregnancy. I also suggest you to have a look at something to do before pregnancy for a healthy and safe delivery as well as some drug free tips for dealing with pregnancy acne. At the state of the pregnancy, your body becomes fatty and you can learn it hear how to become fat. Great tips! Pregnant people should be really careful with their diet. From my experience, its really a struggle to eat foods that are not part of your usual diet but you need it to care for your baby.